Full Moon O Sagashite 1 by Arina Tanemura, 2005. 208 pages. Published by Viz Media. Source: Library. A bittersweet tale of puppy love, tragedy, and aspirations of pop-star fame. 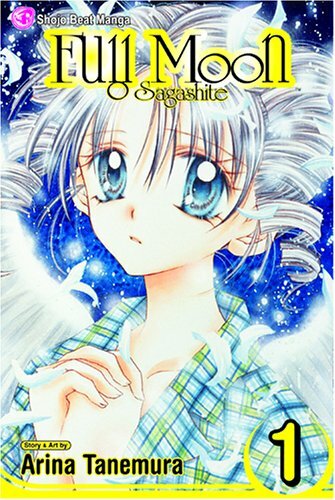 A spark of hope ignites to a blaze in twelve-year-old Mitsuki Koyama's life when a comical pair of magical beings appears to prove to her that dreams really do come true. 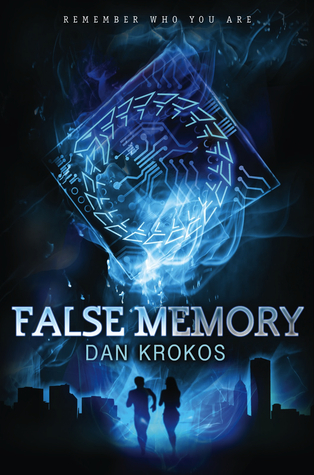 False Memory (False Memory, 1) by Dan Krokos, August 14, 2012. Published by Hyperion. Why: Okay, I love books were the main character is trained to be a weapon, Weird but true. Besides, this one sounds like it would be hard to put down. 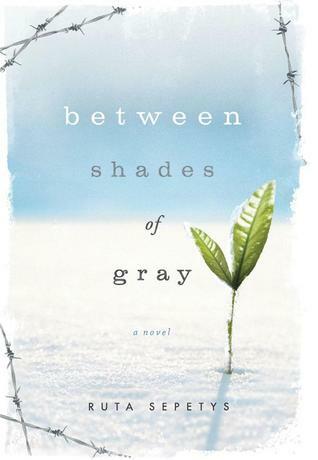 Between Shades of Gray by Ruta Sepetys, 2011. 344 pages. Published by Philomel. Source: Library. "Have you ever wondered what a human life is worth? That morning, my brother's was worth a pocket watch." 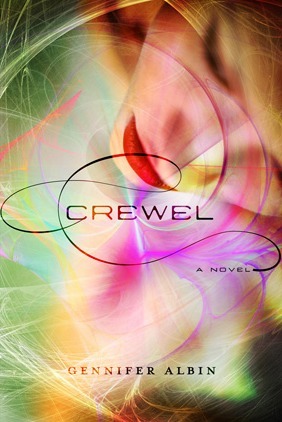 Crewel (Crewel World, 1) by Gennifer Albin, October 16, 2012. Published by Farrar, Straus and Giroux Books for Young Readers. Why: The plot of Crewel sounds extremely unique and like something I would seriously love. 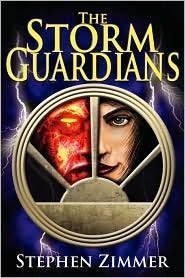 The Storm Guardians (Rising Dawn, 2) by Stephen Zimmer, 2010. 580 pages. Published by Seventh Star Press. Source: Publisher for review. A towering, fiery entity stood in quiet solitude, at the precipice of eternal night. 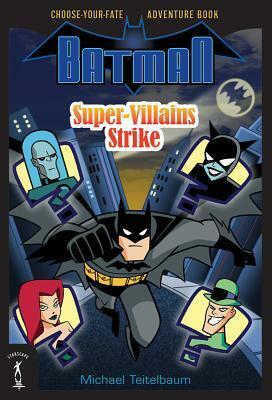 Batman: Super-Villains Strike by Michael Teitelbaum, April 24, 2012. 144 pages. Published by Starscape. Source: Publisher. Batman’s instincts tell him that Catwoman, The Riddler, Mr. Freeze, and Poison Ivy are all involved. But how could that be? They are all behind bars at Arkham Asylum. Batman knows these super-villains would never agree to work together…or would they? Is a copycat criminal to blame? How could one person be in all these places at once? Follow the clues with Batman and then make your own choices for how the story will go. Can you help Batman solve this mystery? Will you be able to put the criminal—or criminals—behind bars and save Gotham City from chaos? Do you have what it takes to be Batman and solve mystery? I totally forgot just how awesome a choose-your-fate adventure can be, especially when done well. Part of what makes Batman: Super-Villains Strike such an interesting read is that you get to choose how Batman will react to what is going on in the book and see if you can maneuver him through the various twists and turns of the plot, all while trying to solve the crimes taking place throughout the book. It was definitely fun and interesting way to introduce Batman to a younger generation while giving them a chance to be the Caped Crusader. Being a pretty big fan of Batman, I was quite surprised and excited when Batman: Super-Villains Strike arrived in the post. Excited because not only was it Batman but it was also one of those choose-your-fate reads, even so, both points would have been moot if the writing and story-telling of Michael Teitelbaum had not pulled me into the story. So, while this is, again, aimed at younger readers the writing is excellent and the puzzles are just hard enough to make you think. The plot was definitely one of the highlights of the book. I was, in short, intrigue as to how the villains were out causing mischief in Gotham when they were supposed to be safely locked away in Arkham, plus I loved the reveal of how they were out gallivanting around. 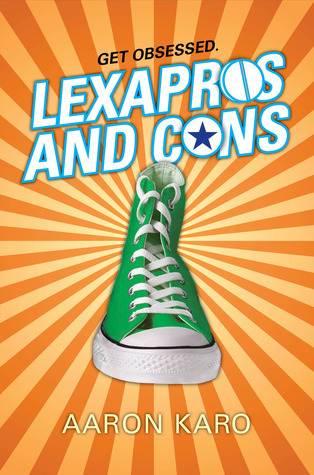 While I may not be one for writing in a book, I found this to be an incredible fun and quick read. One of the things that made this such a fun book would have to be the puzzles and problems that one had to solve to move forward with the investigation. Even though this book is aimed at readers 8-12 years of age, I think Batman: Super-Villains Strike is one that all readers and fans of Batman will find enjoyable. Batman: Super-Villains Strike is just too good and too short for there to be anything to not like about. Final Verdict: Batman: Super-Villains Strike an absolutely fun story that puts you in Batman's shoes. Loved it. Batman: Super-Villains Strike earns 5 out of 5 pineapples. Thanks to Leah at Tor, y'all have the chance to win a copy of Batman: Super-Villains Strike. Born Wicked (Cahill Witch Chronicles, 1) by Jessica Spotswood, read by Nicole Sudhaus, February 7, 2012. Time: 8 Hr. 55 Min. Source: Publisher. Glitch (Glitch, 1) by Heather Anastasiu, August 7, 2012. Published by St. Martin's Press. 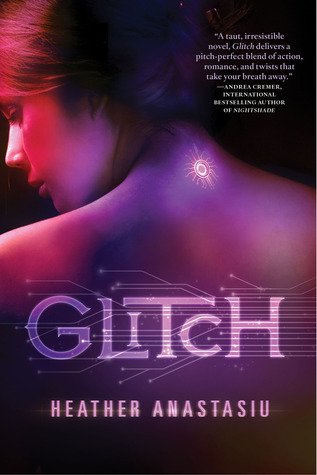 Why: Glitch just soun ds like one epic read, and I need to know what happens to Zoe. Oh my goodness. Y'all I am so sorry about not announcing winners sooner, but things have been crazy and I completely forgot about both giveaways and that they had ended. Major fail on my part. So, without further rambling, I present to you the lucky winners as picked by Rafflecopter. Congrats to both of the lucky winners. Thank you to all who entered. Both winners have been contacted an have 48 hours to respond before a new winner will be picked. 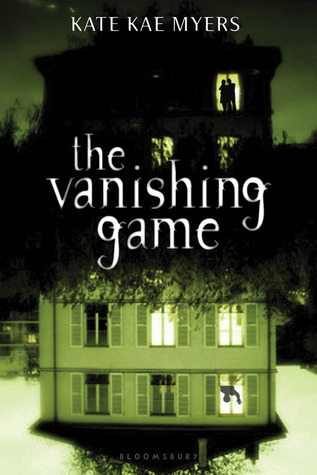 The Vanishing Game by Kate Kae Myers, February 14, 2012. 353 pages. Published by Bloomsbury. Source: Publisher. Life is a series of shallow breaths. 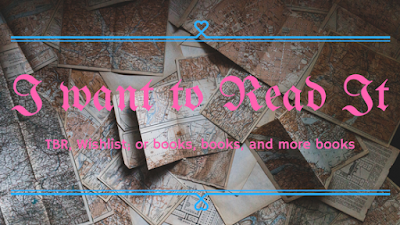 I will be doing any and all updates for the readathon in this post. Mainly to keep every one's timeline from exploding. I really hope I'll be able to read all, or, at least the majority of this stack of books during the readathon. It all really depends on how much reading I can sneak in. Day 2: Finished Cuttlefish and Kitchen Princess 6; started Planesrunner. Day 3: Finished books 3 and 4 last night...late last night. I'm hoping to finish Plansrunner today and start on Of Poseidon. Day...4: Was out of the house all day so I didn't read at all. Although, I am listening to The Oriental Casebook of Sherlock Holmes while catching up on blog work. Gilt (Royal Circle, 1) by Katherine Longshore, May 15, 2012. 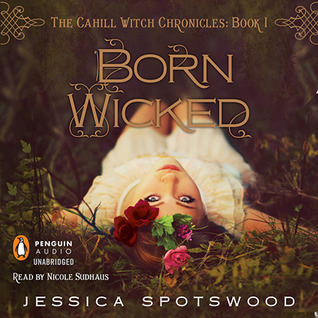 Published by Viking Juvenile. In the court of King Henry VIII, nothing is free--and love comes at the highest price of all. Why: Historical fiction and court intrigue, need I say more. 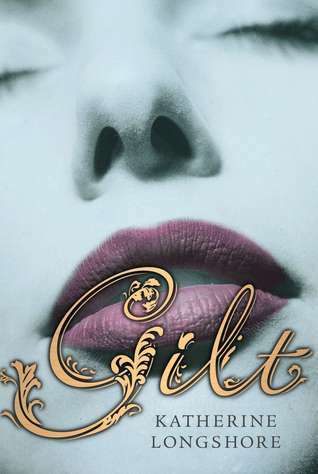 Gilt sounds excellent. 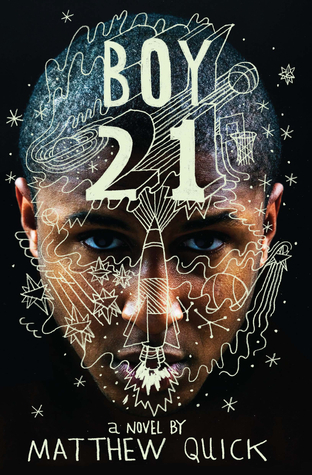 Boy21 by Matthew Quick, March 5, 2012. 250 pages. Published by Little, Brown Books for Young Readers. Source: Publisher for review. Sometimes I pretend that shooting hoops in my backyard is my earliest memory. 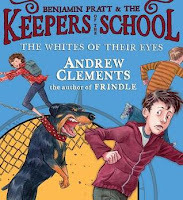 Whites of Their Eyes (Benjamin Pratt and the Keepers of the School, 3) by Andrew Clements read by Keith Nobbs, February 21, 2012. 4 discs (8 hours *I think*). Source: Audiobook Jukebox/Publisher. 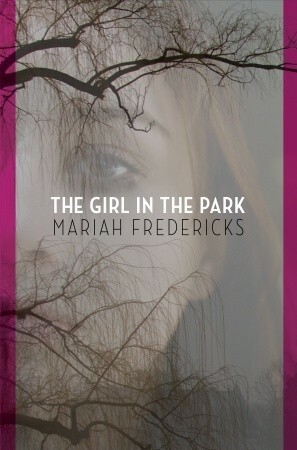 The Girl in the Park by Mariah Fredericks, April 24, 2012. 224 pages. Published by Random House Children's Books. Source: Random Buzzers. 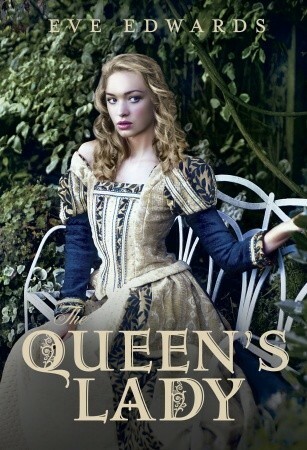 The Queen's Lady (Lacey Chronicles, 2) by Eve Edwards, April 20, 2012. Published by Delacorte Books. When beautiful Lady Jane Rievaulx begins her service to the Queen at Richmond Palace, she is thrilled to see the court's newest arrival . . . Master James Lacey. 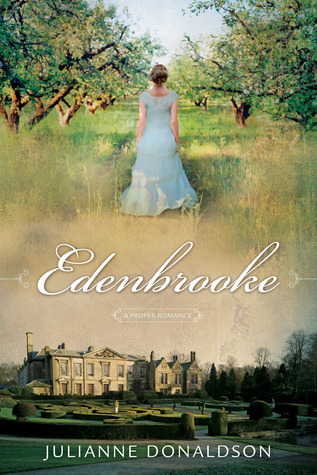 No matter that Jane was previously courted by the eldest Lacey brother—James is the one who has won her heart. For his part, James cannot deny his fascination with Jane; his plans, however, do not allow for love. He is about to set sail on a treacherous journey to the Americas, seeking absolution for what he sees as past sins. But when Jane is forced into a terrible situation by her own family, only one man can save her. Will Master James return to his lady before it's too late? Why: I really enjoyed reading The Other Countess and am quite curious to see what will happen to Jane in the second book.